Students attending universities set up by opposition political groups are having to confront the reality that they may not be able to finish their degrees (Photo: Ahmed al-Ogla). As the territory controlled by groups that oppose the Syrian government shrinks, the estimated 16,000 university students in those areas face increased financial, academic and security challenges. The chances they can finish their studies look dim. Along with having to worry that the buildings they study in may come under military attack, students find it difficult to pay for university tuition and transportation expenses. They know their degrees, if they get them, may have no official recognition. Since 2015, when some areas of Syria slipped out of the central government’s control, some universities and higher education institutions were established to replace the government’s educational institutions. Those included Idlib University and Free Aleppo University, which had branches in the northern and western countryside of Aleppo, Homs, Eastern Ghouta, Quneitra and Daraa. After the return of government control over these areas, most of those branches have closed. Both universities are affiliated with the Syrian Interim Government, an alternative government formed by a coalition of opposition groups in 2013 and based in exile in Turkey. In the northern areas of Syria still controlled by opposition groups, there are also several universities, including Mari University, Ebla Private University and an institution called Oxford University, which has no affiliation with the University of Oxford in the United Kingdom. In addition there are Turkish universities in Aleppo’s countryside established by International Sham University, a university affiliated to the Turkish Humanitarian Relief Foundation (IHH), and Harran University, a Turkish public university that has opened a branch in al-Bab, north of Aleppo. The latter follows a two-semester educational system and courses are taught in Turkish. In the northeastern region of Syria, the Kurdish-led administration has created Rojava University, which had 720 students at last report. (See a related article, “A New University Born in the Chaos of War). Students attend a lecture at Idlib University (Photo: Ahmed al-Ogla). Idlib University has the most students in the opposition-controlled areas, with 13,000 enrolled students and 426 teaching staff members, 80 of whom have Ph.D.’s. “We are the largest educational institution, but the continuity of our work is not guaranteed,” Al-Youssef said. The university has 14 faculties, or departments, and six institutes, including medical, engineering, arts, educational, scientific and media institutes. The university owns a private building for each of its faculties, a large number of laboratories in applied scientific colleges, several libraries and computer-equipped laboratories. Although Free Aleppo University and Idlib University could be considered public institutions because they are affiliated with the Syrian Interim Government, the two universities are not free. Enrollment fees range from $150 to $200. No government supports the universities in the opposition-controlled areas financially, according to previous statements by Abdul-Aziz al-Dagheem, the minister of higher education in the interim government. 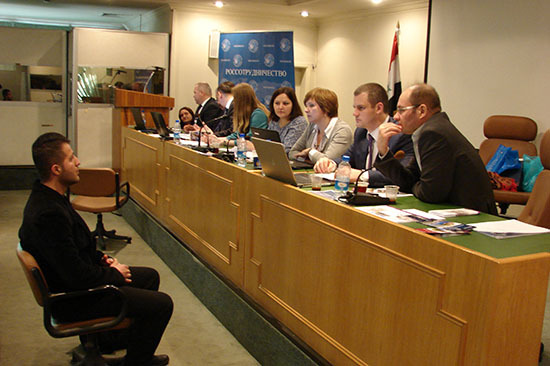 Instead, they depend on grants from international organizations such as Education Without Borders (Midad), a Syrian civil society organization based in Turkey and focused on education, and Spark, a Dutch nongovernmental organization focused on higher education and entrepreneurship in conflict zones. 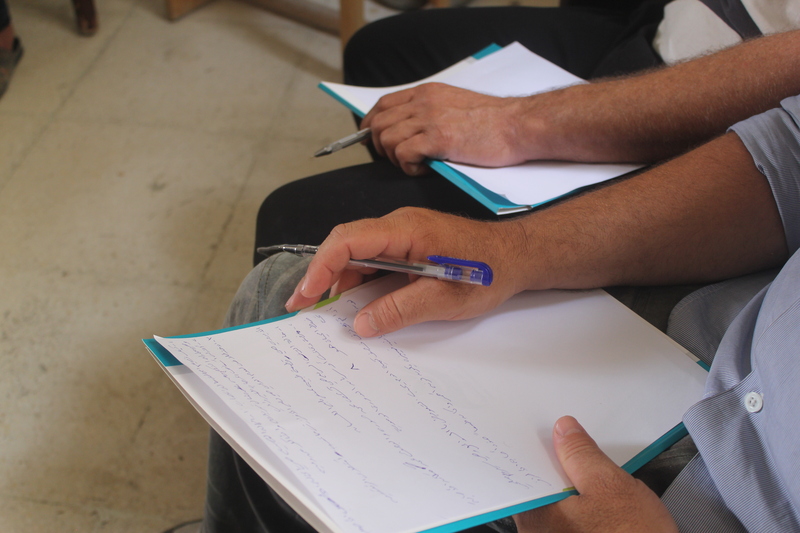 For example, Spark pays educators’ salaries and operating costs, in addition to providing modest financial support to students, in Homs, Quneitra and Aleppo branches, according to Simon van Melick, Spark’s program coordinator and communications manager. “Of course, we have stopped providing support in areas retaken by the Russian and Syrian forces,” he said. 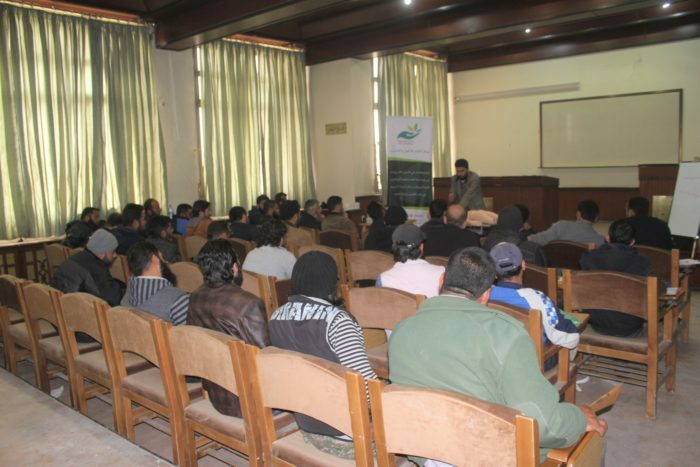 Last year, Free Aleppo University experienced an interruption in operations before it moved its headquarters from Idlib to Aleppo’s western countryside after disputes arose between the Syrian Interim Government and a rival alternative administration, the Syrian Salvation Government. The latter was formed late in 2017 by opposition forces in the liberated north of Syria as a civilian front to Hay’at Tahrir al-Sham, which is internationally classified as a terrorist organization. 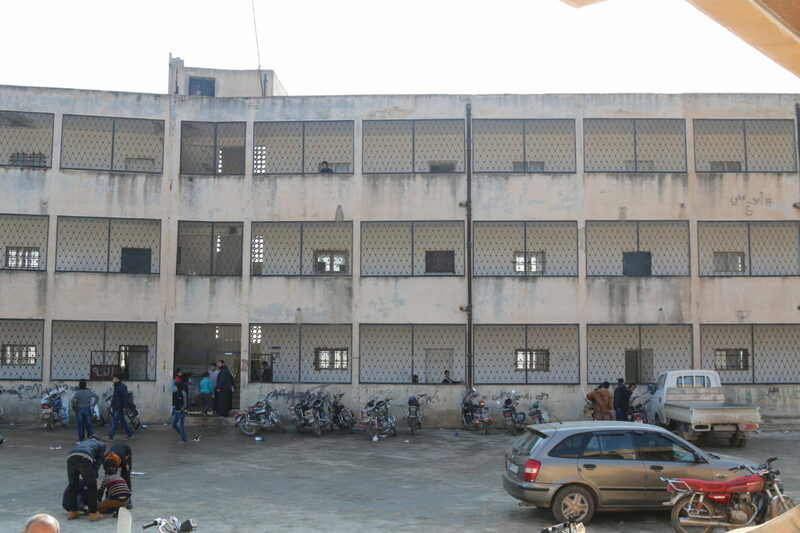 A teacher training institute in Bara, in the Idlib Governorate (Photo: Ahmed al-Ogla). Private university tuition in opposition-controlled areas is high compared to public universities. Some private university fees are as high as $1,500 per year, according to Ahmad Al-Da’eef, a fourth-year student at the Syrian Oxford University’s School of Media, who says students also need about $100 a month for transportation. “These are large sums of money many of us cannot afford,” he said. Fadi al-Mer’i, a graduate of Free Aleppo University’s Faculty of Education, says the high costs of study led many to stop their university studies. “With few opportunities for employment after graduation both at home and abroad and the high security risks of shelling, continuing to study and bearing its financial costs is a huge burden,” he said. He pointed to the difficulty of securing scientific references and university books for most of the disciplines as well as the lack of student housing and the scarcity of professors with doctoral degrees, many of whom have left the country. But the lack of official local or international recognition of universities in the opposition-held areas is the main problem that these institutions have faced since their establishment four years ago. “Not recognizing our certificates kills any chance to get a decent job opportunity and eliminates any ambition to pursue our higher education abroad to obtain master’s or doctoral degrees, especially since there is no university in the liberated areas that offers graduate studies,” said al-Mer’i. As universities in opposition-controlled areas seek official recognition of their certificates, they remain largely dependent on international recognition of opposition forces, which is fading with the ongoing conflict. Alaa Al-Abdullah, a former lecturer at the International Rescue University‘s School of Media, which was ultimately shut down due to political conflicts, believes the problem lies in the lack of interest in developing education and building balanced academic institutions to meet the needs of young people in these areas. “We need a founding body to adopt a new developed educational system away from political engagement to meet young people’s aspirations and needs to build a better life,” Al-Abdullah said. Today, as political rivalries and the bombing of Idlib intensify, students are increasingly concerned about their futures.